Who is more similar? 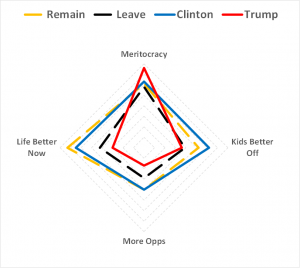 Clinton/Remain voters or Trump/Leave voters? My wife is American and so it should be easy to guess what we were talking about on the morning of 9th November 2016. Donald Trump’s victory in the US Presidential election was a surprise to many people and prompted much discussion on the similarities between Trump voters and the Leave voters in June. However, my wife remarked that people may be looking at this the wrong way round and perhaps the correct question to ask is whether there is greater similarity between Clinton & Remain voters. Identifying similarities and differences between groups of people is a cornerstone of the field of market research known as customer segmentation. It is one of my favourite areas of statistics and can be used regardless of whether the data comes from a survey or from customer records. When my wife posed her question I immediately thought of 2 ways I could answer this using segmentation methods. Look at how people feel (their sentiments) which is what this post is about. 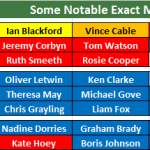 Lord Ashcroft is a keen pollster and has done everyone a great service with two larger than normal polls in 2016. Whilst many questions were country-specific, some questions were the same in both polls. In Q1 of the US poll and Q22 of the UK poll, Ashcroft gave people 4 pairs of statements and asked people to choose which statement they most agreed with. 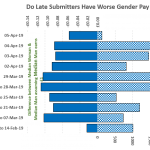 These are shown in the chart here and the bars for each country indicate on average which statement garnered the most agreement and to what extent. You can see for each pair of statements, one can be characterised as optimistic e.g. “life will be better”, and the other can be characterised as pessimistic e.g. “life will be worse”. 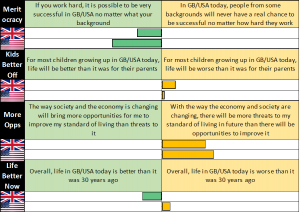 Overall, both British & American voters are fairly similar overall with Americans more optimistic about social mobility or meritocracy in their country and the British being more optimistic about life being better today than 30 years ago. But what if we split UK voters by Leave & Remain and US voters by Trump and Clinton? Which of these groups would be closest together? The chart below is known as a spider plot and shows the % of people agreeing with the optimistic statement of each of the 4 pairs. 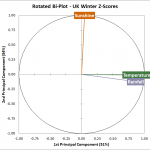 The centre of the plot represents 0% and the edge 100%. The dashed lines are UK voters, solid lines US voters. The act of splitting a population into groups is what we call segmentation and the resulting groups are called segments. 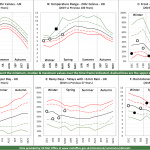 Successful segmentation analysis relies heavily on graphics that make it easy for you to see the similarities and differences between segments and a spider plot is merely one of many methods available. Visually I think you will agree that Clinton & Remain voters appear to be more similar than Leave & Trump voters so my wife’s suspicions seem to be correct. 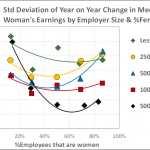 But can we do better than eyeballing the chart? The answer is yes we can if we use what’s known as a distance metric. For each pair of voting segments, we calculate the difference between the lines shown on the spider plot. A very common distance metric is the Euclidean distance which is what I have used here. If I do this for every pair of voter segments, I end up with a matrix of distances as shown here with phone bar signals used as a graphical clue to the distance. The actual scale being used here doesn’t matter, what matters is the relative distance between one pair of segments and another pair segments. So the distance between Trump and Leave voters (0.25) is almost twice that between Clinton & Remain voters (0.13) which confirms our eyeballing of the spider plot. Why should there be greater commonality between Clinton & Remain voters in terms of basic sentiments? I am sure you can think of many answers but at the same time, you might also object and say not all Clinton/Remain voters are the same and making broad generalisations is not helpful. You would be right to do so since the Ashcroft polls allowed the voter segments to be broken down into more granular segments. For the UK, I decided to go with the 2015 General Election vote which I felt was a reasonable proxy for a number of demographic variables as well as being of interest politically. For the US, I decided to use race since racial demographics play such a large role in American public life. This allowed me to create the following table which shows the % within each voter segment agreeing with the positive statement of the 4 pairs. 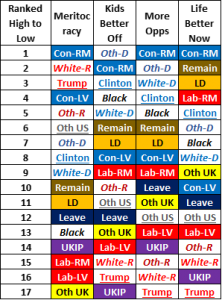 UK voting segments are shown as solid colours using traditional party colours, US voting segments are white background with coloured text. Also in the US, Other voters (i.e. neither Trump or Clinton) are shown as a separate segment. Straightaway, you are probably finding the table on the left harder to read. This is not surprising since we now have 13 additional segments to the 4 we have already looked at. 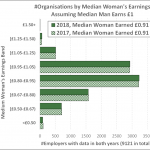 An alternative visualisation of this table is to sort the segments in descending order for each of the 4 pairs of statements which gives the table on the right. Immediately some patterns start to emerge. 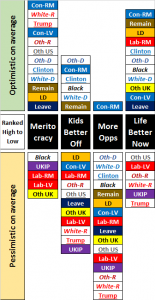 Conservative Remainers appear to be the most optimistic segment whilst Trump, UKIP and Labour Leave voters appear to be the least optimistic segments. 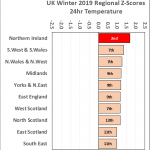 However, a difficulty with this format of the table is that we have lost information about whether a segment is optimistic or pessimistic overall. The next graphic tries to bring that information back. It is the same table but this time, optimistic segments on average are listed above the central line, pessimistic segments are listed below the line. This format show that Conservative Remainers are optimistic on all 4 pairs of statements, the only segment to be so. Conversely Labour Leavers & UKIP are pessimistic on all 4 pairs. This explains why the Labour party is fretting about the threat of UKIP at the moment. Both voter segments are very similar in underlying sentiment. I should also point out that Oth-UK segment is predominantly SNP voters. Again they tend to be quite pessimistic on average and of course we know what the SNP did to the Labour vote in the 2015 General Election. Whilst the last graphic is yielding some information, we can do better. Recall the distance matrix I created when we were just looking at 4 voter segments. If you have ever looked at a road map, you may have seen a similar matrix listing the number of miles between various pairs of cities. If you have such a matrix, you can actually reconstruct the map just from those numbers. All you have do is pick one city and place it anywhere on a blank sheet of paper and then put the next city some units away from the first city. When you come to place the 3rd city, you will now be constrained as to where you can place that city on the map whilst keeping the relative distances as described in the matrix correct. By the time you come to do the 4th, 5th and 6th cities, you will have no choice over where they are placed on the map. The same method can be used in market research to create a map of how far apart each voter segment is relative to each other. This is a method known as Multi Dimensional Scaling and if we apply this to the 17 segments I have been looking at in the tables, we get the following map. Finally we have found the key to answer my wife’s question in great detail. Your insights should now be flowing off the line but I will list what I can see in this chart. All insights can be confirmed by going back to the table listing the answers for the 17 segments. The bottom half of the map represents optimists, the top half pessimists. The American segments are on the left, the British mostly on the right. The two Conservative segments are on the left though suggesting that Tories are essentially American in their basic sentiments. Remain & Clinton voters are much closer than Leave & Trump voters. Conservative voters are much more optimistic than Labour voters even when taking into account referendum votes. Within each party, there is a considerable divide between Leavers & Remainers but Labour is at greater threat since their Leavers are close to UKIP and their Remainers are close to the Lib Dems. Arguably Conservative Leavers are closer to Clinton voters than Conservative Remainers. In the US, Trump voters are very pessimistic compared to the optimism of Clinton voters. Race is presented as a big factor in the US but the divisions within each race are quite considerable. Note very few black Republicans responded so black voters are not split. 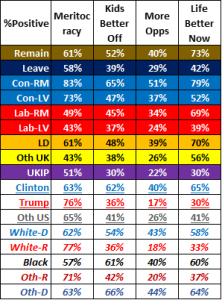 Last but not least, both Clinton and Remain got 48% of the voter. Leave got 52% whilst Trump got 46% and 6% voted for Other presidential candidates. What this map shows is that Other voters are much closer to Trump in basic sentiment than they are to Clinton. The electoral similarities are explored further in my other post but the final point in my list is a particularly striking. In the referendum, there were only 2 choices on the ballot paper whereas US voters had more choices. However, those who availed themselves of the additional choices were not close to Clinton in sentiment. 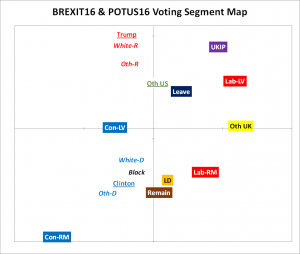 So it is correct to say that Brexit and Trump are one and the same when we consider underlying sentiments but if we want to understand why this is, we should spend more time on the similarity of Clinton & Remain voters and ask how their views and attitudes helped to shape the momentous events of 2016.